The 2005 vintage gave ample rain in the winter, charging up the soil water profile for a very nice growing season. Temperatures were moderate and consistent from early spring through October. 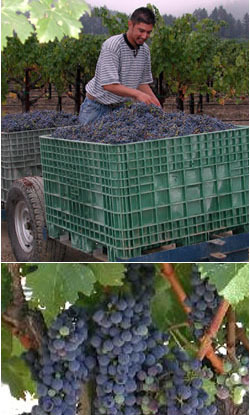 Both the mature, established Cabernet Sauvignon vines and the now five year old Cabernet Franc, Merlot, and Petite Verdot vines produced some wonderful juice. In terms of volume and concentration this is one of the most exceptional Bressler has produced, with aromas of dark chocolate, black truffle, raspberry and blackberry fruits, malty caramel, and lavender notes. In the mouth the tannins are almost silky fine with a very long finish and the mid palate offers some rich flavors. The wine has plenty of structure and intensity for good aging, but with plenty enough finesse for enjoyment in the near term.